Mexican hot chocolate is a beloved beverage made from chocolate (yup, got it) and often cinnamon and another spice or two to bring up the heat. 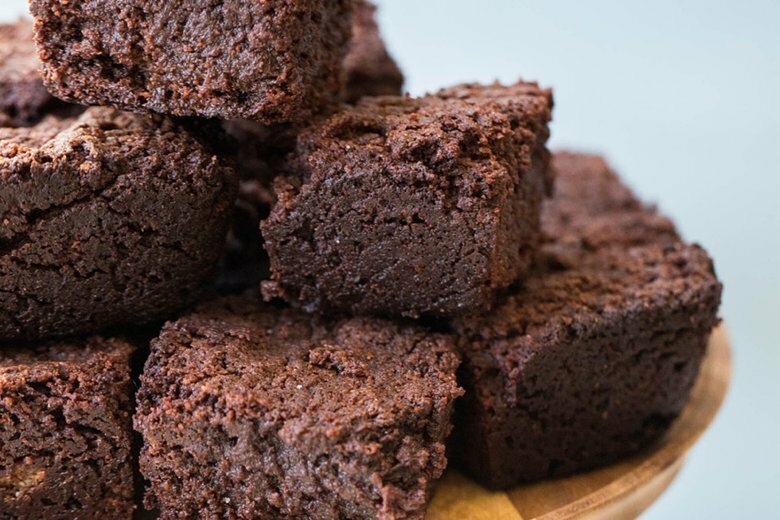 The combination of spicy and chocolate just plain works, and I wanted to see how it would translate into another beloved treat, the good old American brownie. 1) Yes, yes, I get the humor in having the word “pot” and “brownies” in the title. I have another One Pot Fudgy Brownie in The Mom 100 Cookbook, and I’ve had to answer for the word choice more than a few times. Tee hee, very funny, but seriously, they are in fact made in one pot, so cleanup is awesome. 2) The kick from the spices — cayenne and cinnamon — is at first subtle, then more pronounced, and then fades, which means of course that you must go back and have another bite. And another. You could also add a pinch of ancho chili powder instead of the cayenne, or in addition to it if you’re feeling frisky as all get out. Don’t substitute regular chili powder or chili spice blend. These mixes have additional spices in them, like oregano and garlic, and while they might work wonderfully in chili or enchiladas, here they will confuse things. 3) When you add the eggs to the warm brownie batter, add them one at a time and beat them in quickly. This allows each egg to fully incorporate into the batter, and also ensures that the eggs blend in and don’t scramble while they sit waiting to be mixed in. Now, there’s nothing wrong with a straight-up brownie, but when you experience chocolate that packing heat, that’s a game changer. I first served these to a big group of grownups and kids, and after everyone took one there were four left. One brave woman reached for seconds. The rest of the group looked at each other until I cut the remaining brownies into halves, and then there were none. Preheat the oven to 350 F. Grease a 9-by-13-inch baking pan, or spray generously with nonstick baking spray. In a medium saucepan, heat the butter and unsweetened chocolate over low heat, stirring frequently, until they have melted. Remove from the heat and stir in the sugar, then the cocoa powder. Beat in the eggs one at a time. Stir in the vanilla extract, and then the flour until completely incorporated. Stir in the salt, cinnamon and cayenne until blended. Scrape the mixture into the prepared pan and bake for 25 to 30 minutes, until a wooden skewer inserted into the middle of the pan comes out clean. Cool completely on a wire rack. Cut into 24 squares. Nutrition information per serving: 208 calories; 99 calories from fat; 11 g fat (7 g saturated; 0 g trans fats); 56 mg cholesterol; 94 mg sodium; 25 g carbohydrate; 1 g fiber; 17 g sugar; 3 g protein.